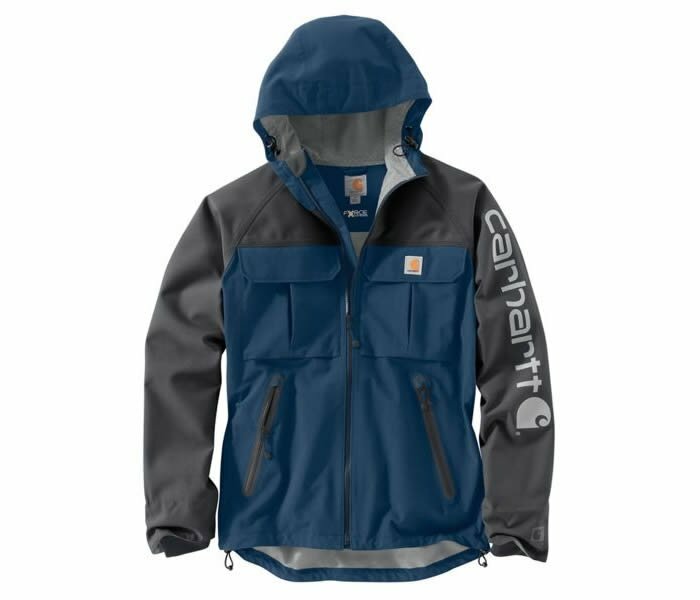 The Force Extreme’s Shoreline Angler Jacket is a fully waterproof and very streetable jacket from Carhartt. Designed with comfort and mobility in mind the Shoreline Angler is performance outerwear for work or play because there’s nothing worse that being wet and miserable. Carhartt’s history is behind workwear, extremely durable, comfortable on the job clothing for professionals whose jobs dictate they brave the elements. 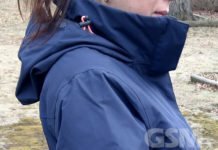 The men’s Force Extreme Shoreline Angler Jacket is technically fishermans gear but completely at home on the streets for casualwear with its slight droptail and tapered design. The fit is spot on. Contoured very well and very comfortable. 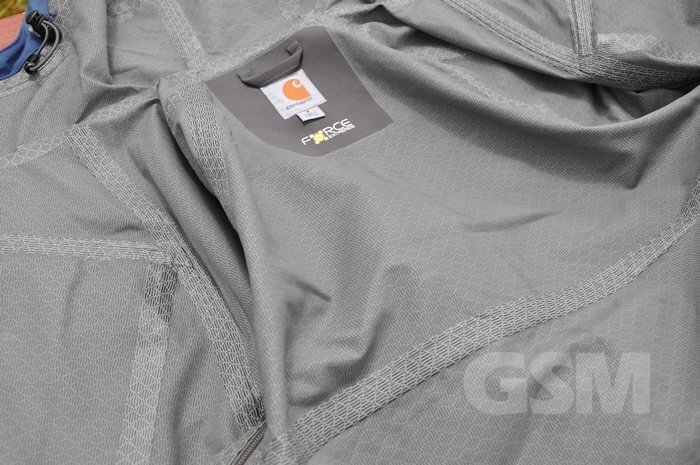 It’s also waterproof with fully taped seams to keep you dry inside in a downpour or anything lighter on down. This thing is taped up better than a lot of tents we’ve seen! 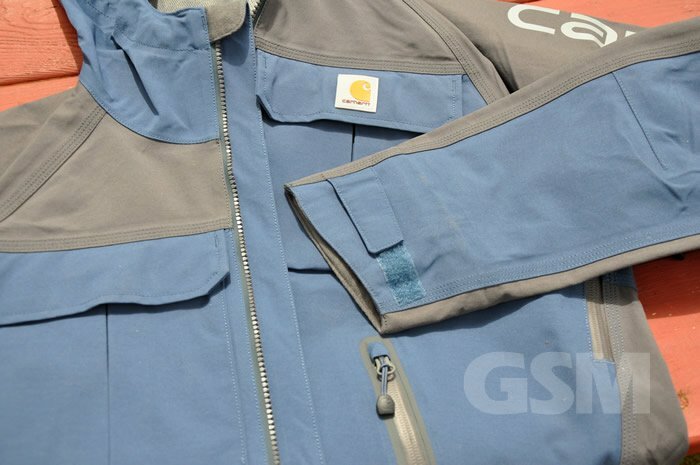 If you are considering this jacket for fishing gear, add in the Shoreline Angler Pants/bib for the full effect. 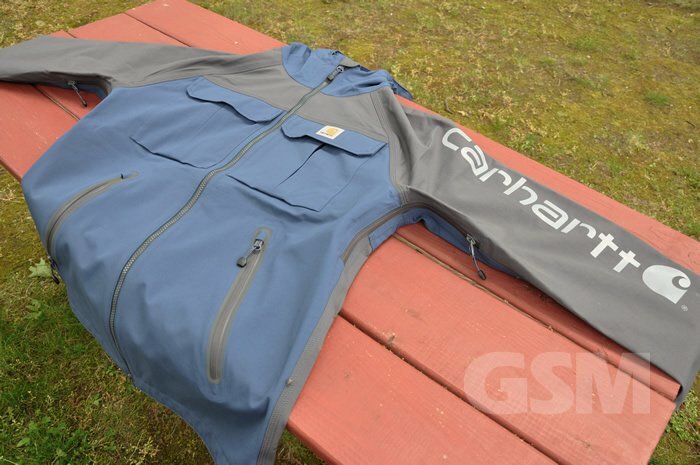 Engineered with Carhartt’s Storm Defender technology allows the jacket to stay dry and still remain breathable. 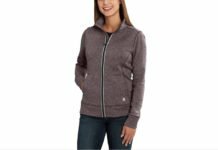 The 6.3 ounce 100% Nylon midweight jacket is FastDry lined with 37.5 technology which also exhibits odor fighting properties. Features articulated elbows for easy movement, angle cut adjustable cuffs with wrist liner, confident zipper pulls and fully waterproof zippered hand-pocket. 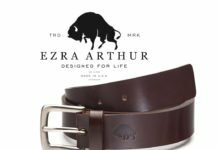 The two outer chest pockets are oversized and designed to fold over when you close them so you don’t worry about spilling out the contents when you bend over. 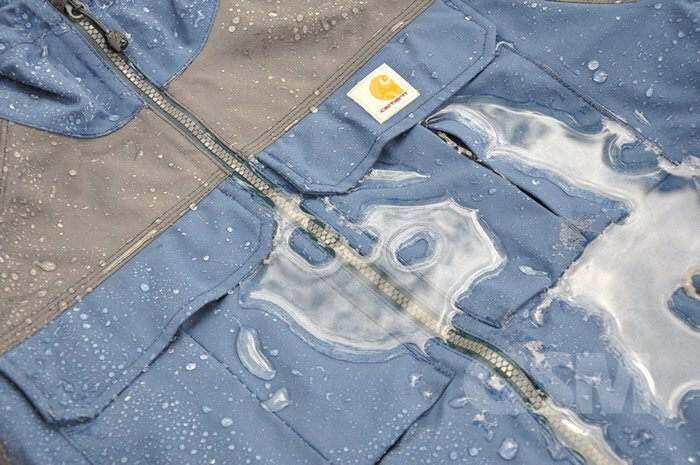 Similar to the modern waterproof dry bag for wet gear or even a camping air mattress. 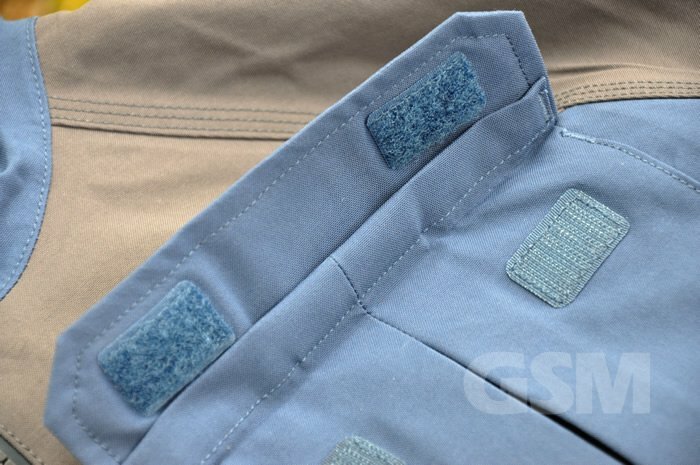 A Velcro-close interior pocket gives you room for a smartphone or wallet. Pits zips allow you to ventilate when you need to, could be easier to reach but work very well. The hoodie is slightly large but is easily adjustable. There are also two waistline adjustments for some fine tuning for more blustery wet conditions appear and you need to batten down the hatches. Another nice touch are the little hoodies or shrouds for the zipper heads when they are closed. 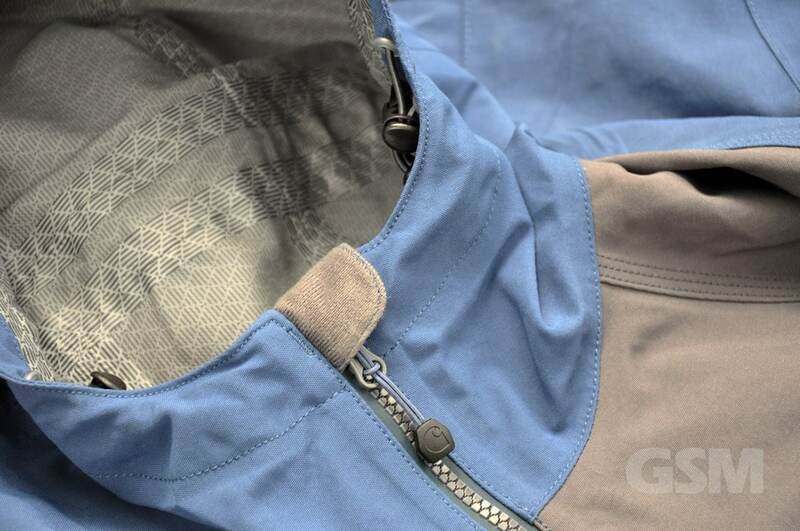 The shroud will cover the end of the zipper when in the closed position to deter leakage and snagging. Sturdy plastic gripped zipper pulls are easy to use and operate the waterproof YKK zipper nicely. 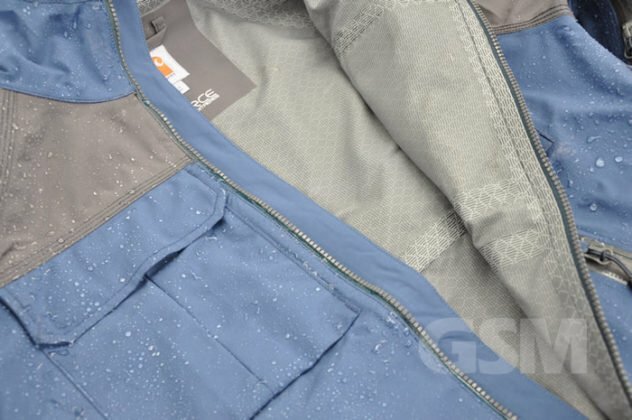 Very pleased the Shoreline Angler’s main zipper is not the webbed YKK zipper as we have had design issues where the metal starter tooth would continually break off from the fabric again and again. 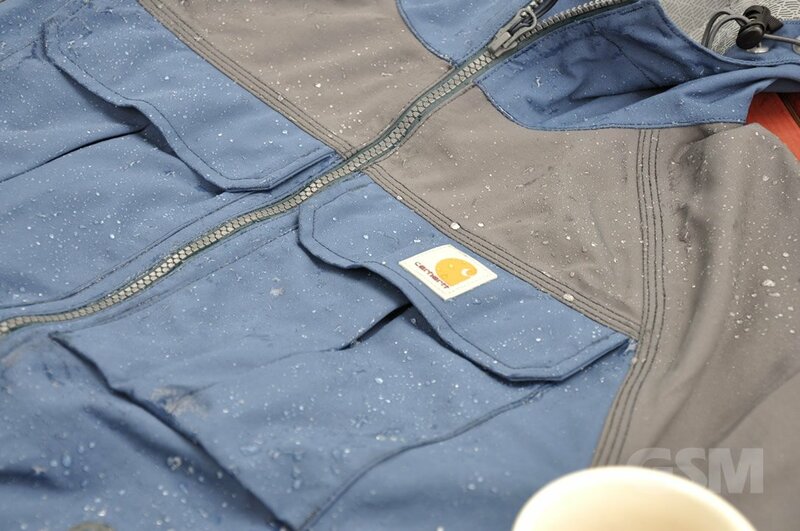 The webbed YKK waterproof zippers work great for the pockets since it always stays attached to both sides. The Shoreline Angler is a shell (non-insulated) so you’ll want to keep on some sort of long sleeve baselayer to avoid that rubbery feeling against your skin. That said, this jacket is amazing. The fit runs true to size and you can get a midlayer on without feeling constricted. You can also upsize if you plan on layering up more but bear in mind this is categorized as a midweight jacket. The interior FastDry print lined interior is very functional but the pattern looks great too. 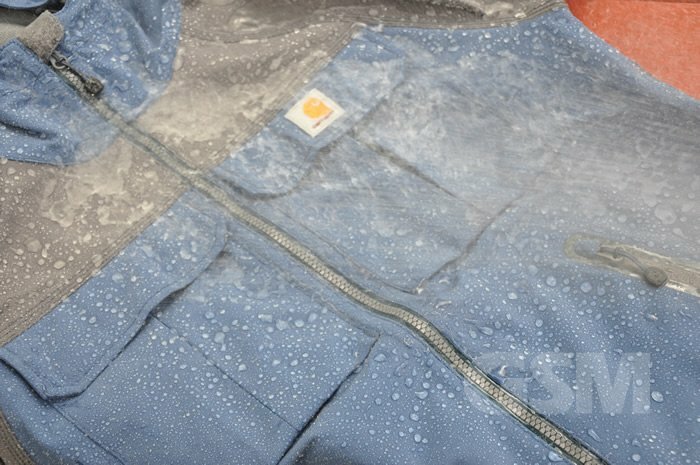 Whether you’re looking for raingear for work or play Carhartt’s Shoreline Angler Jacket fits like gold, performs like butter. Looks equally great on the streets or out on the water. Available in Dark Blue or Red.